Pakistan’s Supreme Court has rejected a challenge to its decision to acquit a Christian woman at the center of a years-long dispute over blasphemy charges that included violent protests by Islamists. 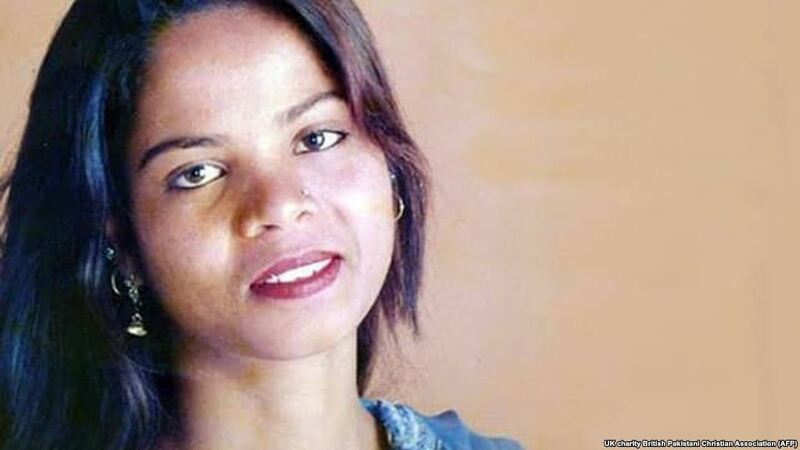 “Based on merit, this review petition is dismissed,” Chief Justice Asif Saeed Khosa told a hearing at the country’s highest court, which overturned Asia Bibi’s conviction and death sentence last year. For Bibi, who has been in protective custody at a secret location since her acquittal in October, the court’s latest decision could represent the final legal hurdle to her freedom. Bibi spent more than eight years on death row for blasphemy, a hugely sensitive charge in Muslim-majority Pakistan. She was originally convicted in 2010 after being accused of making derogatory remarks about Islam in a row with her neighbors. Asia Bibi has always maintained her innocence. The Supreme Court’s decision in October to overturn her conviction ignited days of violent demonstrations, with radical Islamists calling for her killing as well as mutiny within the powerful military and the assassination of the country’s top judges. The government has since launched a crackdown on the Tehrik-e Labaik Pakistan (TLP) party — the Islamist group driving the violent protests — charging its leaders with sedition and terrorism. But authorities also agreed to allow a final review of the Supreme Court’s judgement. The TLP party said earlier on January 28 that it would not accept any decision in favor of Bibi’s release and asked its followers to prepare for more protests. Police stepped up security around the Supreme Court in Islamabad ahead of the judges’ decision to cope with possible protests. Bibi has said she will leave the country as soon as her legal battles are over. Her daughters have reportedly taken refuge in Canada. Her lawyer, who fled Pakistan after receiving death threats but returned to the country ahead of the Supreme Court’s decision, called the court’s decision a victory for Pakistan’s constitution and rule of law. Approximately 40 people are believed to be on death row or serving a life sentence for blasphemy in Pakistan, according to a 2018 report by the United States Commission on International Religious Freedom.